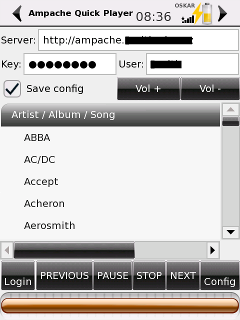 Play all your discography from music server! Play it on every your device PC, laptop, smart-phone act. ! I ported it to the Neo FreeRunner. My SVN branche svn://svn.xeres.cz/quickplay . Long loging to server, but then mplayer get for plaing only 28% of CPU (on Neo FreeRunner). Tested on SHR and AI-OS version 2010-09.a . 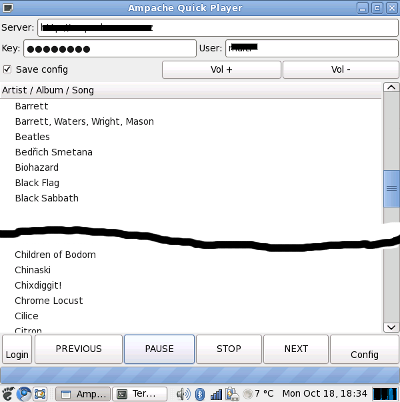 Quickplay can search in discography. 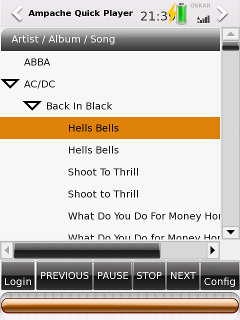 You must only click in to the window of quickplayer and start write the word.